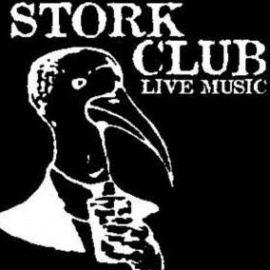 The Stork Club Oakland is one of the Bay area's longest running entry-level venues for bands starting out, playing the area for the first time, or seasoned veterans who want to bust one out for old time's sake. It features a full bar separate from the dance floor /stage area, a gaming room & outdoor smoking area. it has it's own custom designed sound system & mic collection adequate enough to cover most performer requirements. it's very much a blue-collar, family run operation that takes pride in serving the local community as many years as it has & is often compared to NYC's CBGB. 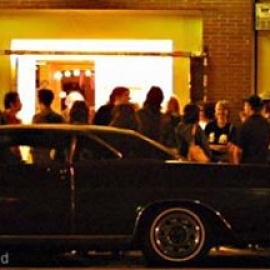 The Stork Club has a fairly broad-minded booking policy that embraces a wide variety of styles & genres that reflect the diversity of Oakland itself. please check the calendars on our official website (www.storkcluboakland.com) for open dates & email us the dates you are interested in. We will get back to you ASAP. Dates are booked in order e-mails are received but may take up to 24 hours to post..
Every night's show needs at least 4 hours of entertainment usually 3-4 bands.